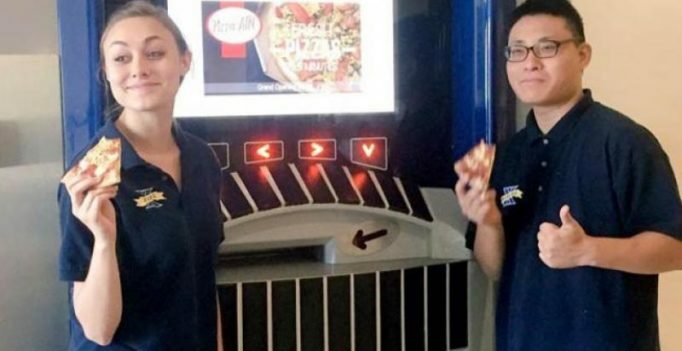 Washington: Pizza lovers in the US can now relish their favourite cheesy delicacy by using the first-ever ‘Pizza ATM’ in the country installed at a university campus. Customers can select what kind of pizza they want using the 24-hour machine’s touchscreen. The cost of each pizza is around USD 10, with the ATM accepting credit and debit cards, as well as a student card, ‘Tech Times’ reported. According to Jennifer Paiotti, marketing director of XU auxiliary services, it is the “best pizza” she has ever eaten. The ATM has a dependable process that preserves taste and quality – the pizza and its ingredients never touch any part of the machine, French-based company Paline, which developed the ATM, said on its website.